Just a couple of weeks ago, the networks released a torrent of cancellation notices for numerous shows. Among the series that got axed was Agent Carter, which sadly ended its second season on a cliffhanger. Because it takes quite some time for networks to decide which shows will stay and which shows will go, Agent Carter was apparently bandying around ideas for Season 3 when the ABC drama was cancelled. At MegaCon over the weekend, series lead Hayley Atwell explained what a potential Season 3 would have been about. There was talk of Season 3 of going further back into her past. So the showrunners were talking about a possible kind of twist, I suppose, into something to do with the family. They suggested there would be more to do with my brother. So that’s all I can say. During Season 2, Agent Carter flashed back a bit. There was a memorable sequence explaining how Peggy Carter’s brother, Michael, introduced her to her fiance. It’s clear that Michael was a big influence on Peggy, encouraging her to become more than a housewife. When he—reportedly—died in battle, it was the catalyst for Peggy to ditch her plans to marry Fred and join the SSR. There’s a lot of Peggy Carter’s past that neither the ABC series or Captain America never explored, and it would have been great to have seen that fleshed out during a third season. Hayley Atwell also used the MegaCon platform (via EW) to express interest in more of Agent Carter on another platform, as well as the possibility of a movie. She’s even gone so far as to say she’d be happy to split time between Carter and her new ABC series Conviction if she had to. (We're not sure how ABC would feel about that.) She’s not the only Agent Carter actor to have those feelings, as Dominic Cooper has expressed interest in reprising his role, as well. 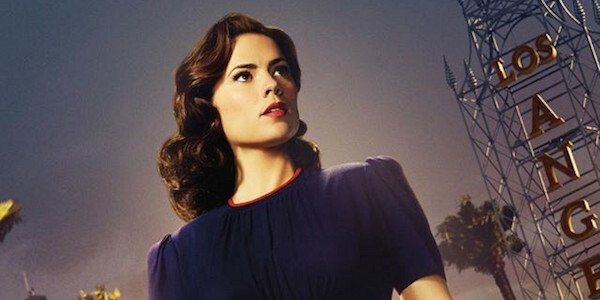 Although fans have been petitioning for the show’s return, there’s been no indication that anyone is particularly keen to pick up Agent Carter for a third season. Although Captain America: Civil War seemingly closed the book on Agent Carter’s story, there are still theoretically ways the character could be revisited in the Marvel universe. That’s the nice thing about telling stories in the past and the present. Although Agent Carter is ending, Marvel is excelling elsewhere on TV. Agents of S.H.I.E.L.D. was renewed some time back, and Netflix has a ton of shows in the works right now, including but not limited to Luke Cage and Iron Fist. Well let you know as soon as we know what the company has coming up next.